This review may seem well overdue, given that my review of Quantum Jump’s self-titled debut was published in January. Esoteric did not have Barracuda in stock at the time. Fortunately though, there has been a re-pressing (is it called a pressing when it’s a CD?) and TPA is lucky enough to reap the rewards. Or I am, at least. 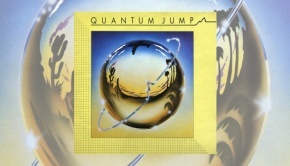 I was primarily interested in hearing this album simply because I found myself loving the first, but there were other reasons; I’d read a review somewhere indicating that this was a less commercially-friendly, more progressive album than Quantum Jump. This advertisement had me itching to hear Barracuda. Unfortunately, I was about to find out that not only was Barracuda arguably not even as ‘progressive’ as the first album, but that the band’s commercial sensibilities had actually been one of my favourite things about the group. Barracuda is an unusual departure from the debut, although there are tell-tale signs of Quantum Jump’s fun-loving Americanised style to be found on this album. The most recognisable (and indeed enjoyable) tunes are the opener Don’t Look Now, with layered vocals adding to the cool lounge-pop feel, and the more rock-oriented affair Starbright Park, replete with brass and violin parts. Departures from the band’s original style include the atmospheric title track, played at a pace so slow one might feel it has been playing for an hour, but not mind. Once again, side two is devoted to the ‘odder’ tunes. Love Crossed (Like Vines in Our Eyes) feels as if it should have been a four minute throwaway track (rather like the single B-side version of this song to be found on Disc 2), but instead outstays its welcome as the longest track on the album at nearly seven minutes. Blue Mountain (Aloha Green Sea) shows a quieter, meeker side of the band that still has all of the melody of their other output. Neighbours (Limbo Cottage) on the other hand is closer to the laid back spacey feel of Barracuda, this time with a nightmarish story unfolding in the lyrics. I have to disagree that Love Crossed (Like Vines in Our Eyes) is something good, but I can absolutely agree that the whole album has a very transitional feel. 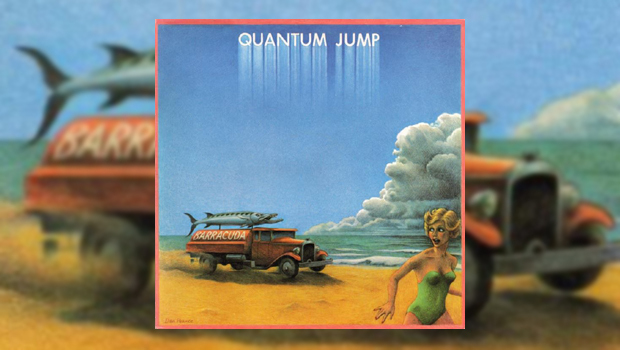 Even the first album had that sort of feel, and it’s as if we never really heard Quantum Jump for what they truly were at any point. It’s a good advertisement for 1981’s Immunity though!